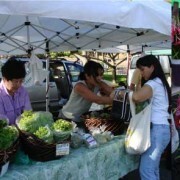 KCC Farmer’s Market is one of the top-rated farmer’s markets in the United States. It features 100% locally grown produce. It’s a great prelude to a Diamond Head hike (adjacent to the Diamond Head Park entrance) and is a great start for any Saturday morning. Locally grown coffee, produce, tropical fruit, ready-to-eat food, plants and more. On average about 65 vendors come to set up every Saturday, rain or shine. Saturdays only from 7:30-11am only.